This post is largely a link to Nick Gardner’s recent article on the braincase of Youngina. I learned something about Permian reptiles myself helping with this project, now I’m that much closer to turning the corner up the synapsid line. His writeup is here at his blog. The Open Access, freely available Paleontologia Electronica paper is here. Gardner NM, Holliday, CM, and O’Keefe FR. 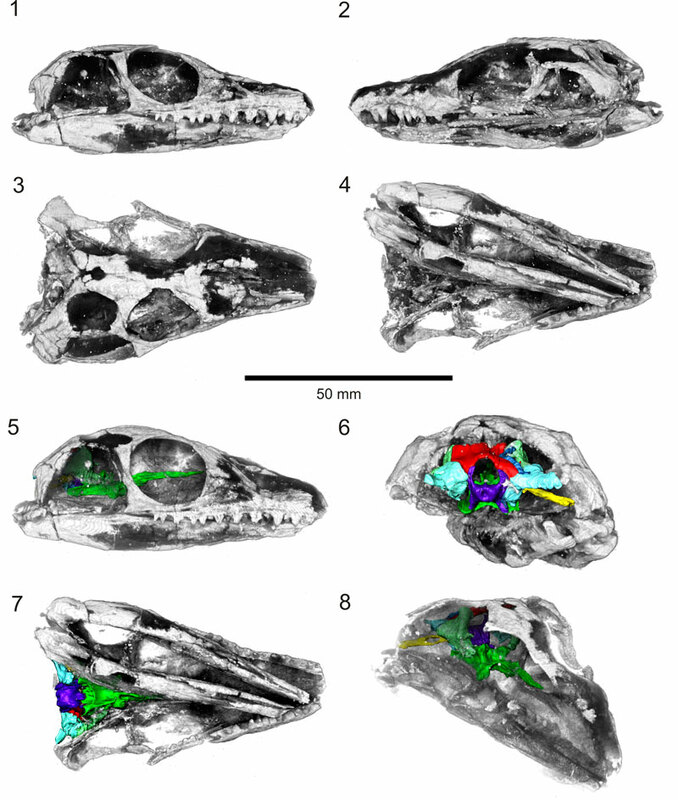 The braincase of Youngina capensis (Reptilia, Diapsida): new insights from high-resolution CT scanning of the holotype. Paleontologia Electronica 13(3): 16p. Among other reasons, I like PE because it allows the authors to include a short biographical sketch in which some might take the opportunity to spam kid (and giraffe) pictures, relevant or not. Maybe we’ll use this platform, by continuing PE pubbing, to show the ontogeny of my professional as well as personal life 😉 . I am an Associate Professor of Anatomy at University of Missouri-Columbia. I teach Anatomy for the Medical School. I conduct research on the evolutionary morphology of vertebrates, particularly the structure, function, and evolution of the feeding apparatus. Much of this involves studying the biology of bone, cartilage and muscle. of dinosaurs and fossil crocs. I have a great job. 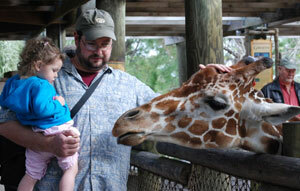 Brevard County Zoo! We have an identical picture of Dan and Ceci!